So, what the story behind this picture? 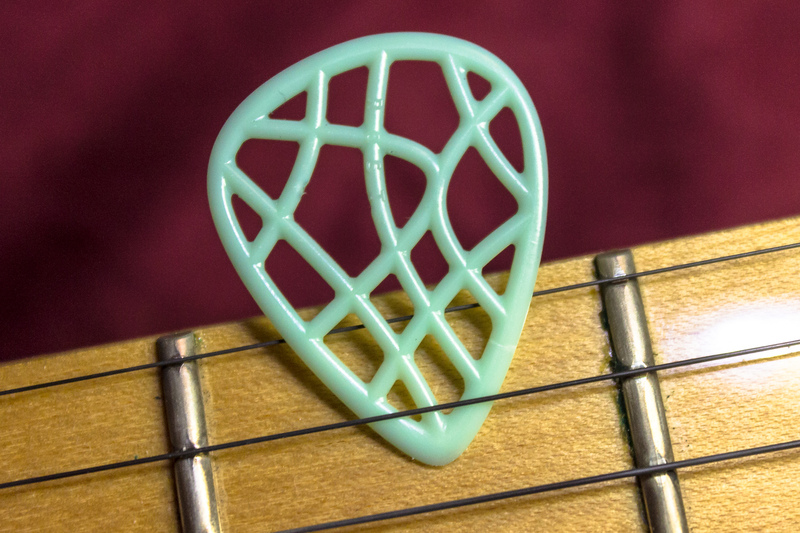 The green 045 Version of the "ROST elasto grip" Plectrums, they were by far the less successfull Plectrums of all the XUFOY Picks. Almost nobody bought them. To soft, to unusual Design, most of the (amateur) Guitarists did not know what to do with such a Plectrum. But some day, soon before New Year 2017 the phone rang me out of bed, it was nile rodgers, i sent him some samples a few weeks before. "I like it! It supple around my fingers!" and he orderes hundrets to test it in the sommer. 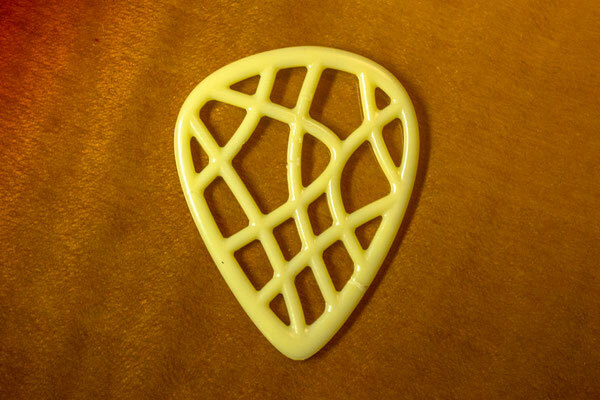 So, lets see if he use it or stay with his traditional CHIC Plectrums. But thats not so important. The most important thing is that we learn the following: I asked him what king of hardness he like, the red one? or perhaps the yellow? "I like the green most!". Its obviously that the special strumming style of nile demands a special sort of Plectrum. And here is the important thing: With such flexible Picks, it is EASIER to play his style. He explained me that most other guitarists using heavier (harder) Picks, and he is always the only guitarist on stage which need only one guitar, one set of strings and one Pick at an evening, because he "playing so gentle". So, when you see Nile playing, it does not look really "gentle", but the combination of playing style, soft Plectrum, lighter strings makes that he plays "gentle". Another aspect: Many "amateurs" choose quite hard plectrums, but want to play gentle. In the result: They hold the Plectrum loose, to get some "flexibility". But its easy to imagine what the result is: The Pick falls away easy, turning in their hands, and guitarist like this always want "more grip" to avoid this. 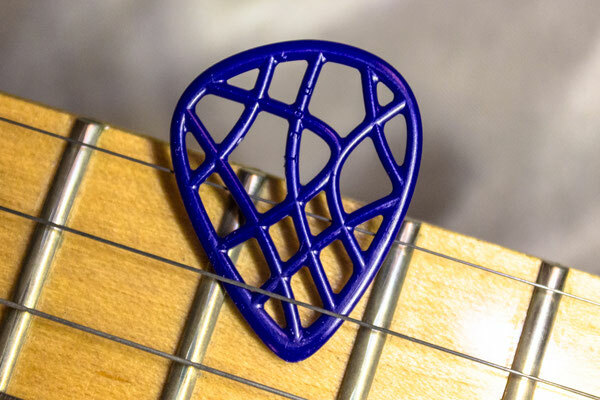 Ok, the "ROST elasto grip" has some grip sctructure, but the important thing is: When you dont hold the Plectrum tight, you never get grip, don't matter with what kind of Plectrum. 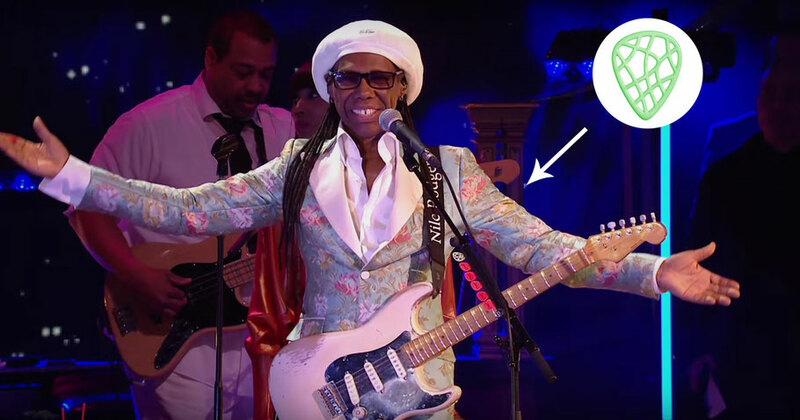 Nile Rodgers explained me, that he hold his soft Plectrums very tight and they never falling away or turning in his fingers. equipment, that makes it EASIER for him to play his style and create his special sound. 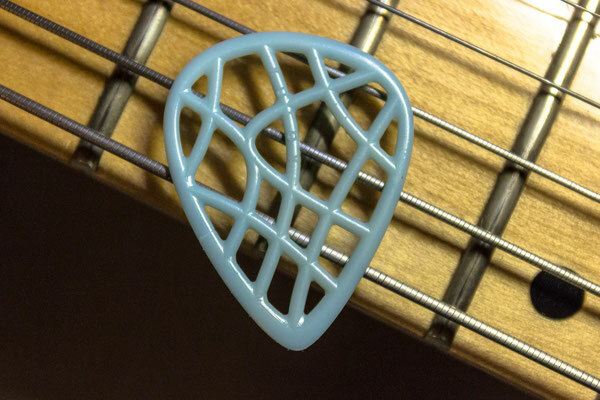 The very flexible Picks he use, are the PROFESSIONAL choice for him! Lets make an allegory: When it rains it is much harder to use normal tires in Car Racing. But the professional Choice in this situation are rein tires, because they make it EASIER to drive fast in the rain. 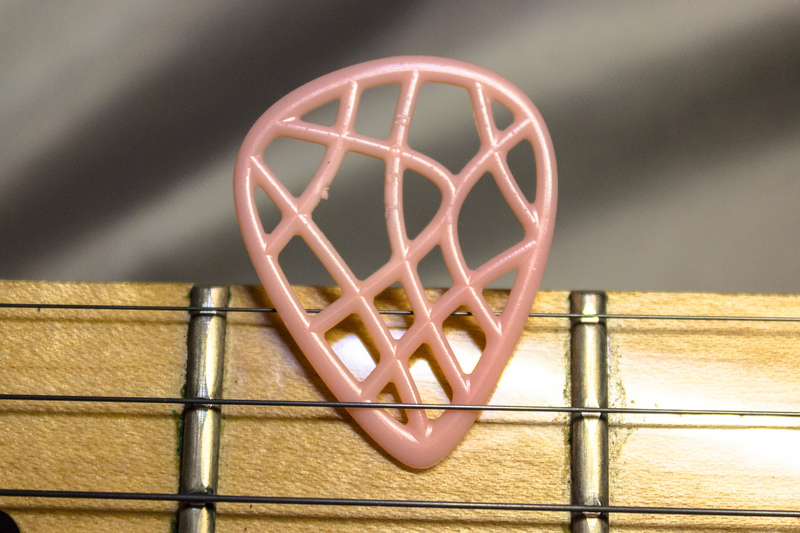 Flexible Guitar Picks make it Easier to play fast strumming styles, like nile is doing. The "ROST elasto grip" are available in several hardness degrees, see above. All of them are for professional use. There is no "beginner hardness" or something like this. 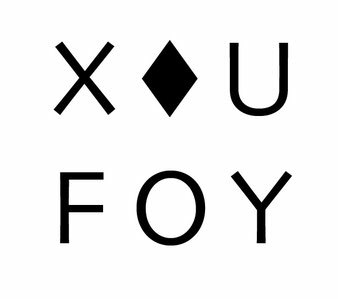 It only depends on what you want to play, what you want to reach. 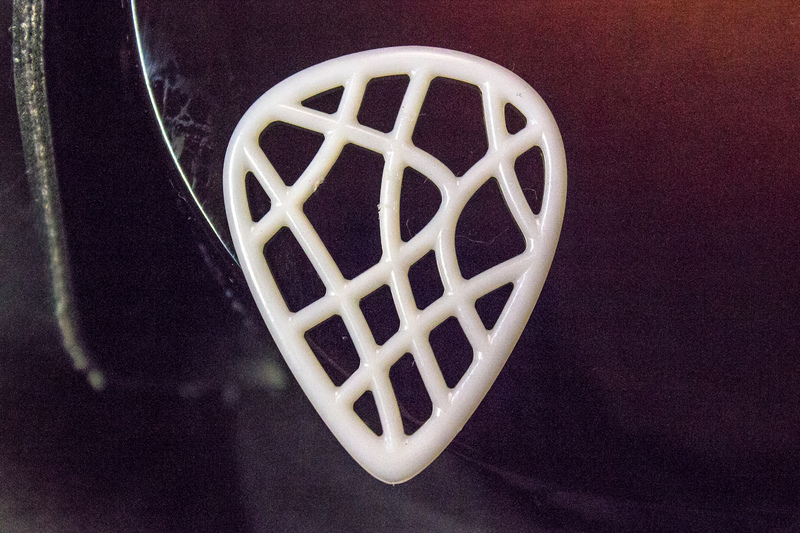 And in most cases you should simply use this Plectrum that makes it easier for you to play what you want to play. I know. Most of the guitarists are used to some Plectrums, they used for many years. Its hard for them to change. But thats another thing. In Principle a good Pick should make you the life easier. Sometimes it feel unusual. But i think it is true.